In the US, many states require integrators to be licensed to install burglar alarms, CCTV, electronic access control, or all three, and requirements vary widely from state to state, making it confusing for those entering the industry to know exactly what they need to abide by their state's laws. We have compiled this list of US state license requirements based on information publicly available on state websites, and believe it to be accurate as of the date published. Any comments or corrections, please comment below or email info@ipvm.com. Alabama requires installers to obtain separate licenses to install burglar alarms, CCTV, or electronic access control. Arizona requires a qualifying agent of a company be licensed to install burglar alarms or CCTV. Arizona's website admits that "getting a license takes many steps". A qualifying agent must pass two exams; a business management exam and a technical exam covering general electronic knowledge, digital communication systems, fire alarms, burglar alarms, PA systems, television systems and antennas, conductors and raceways, grounding, and bonding. Once completed, an applicant can begin the paperwork to apply for an contractor's license, which includes obtaining a bond and worker's compensation insurance. In addition, all alarm company employees must pass biennial background checks and register with the Board of Technical Registration. Arkansas requires any person installing burglar alarms to be licensed. Qualifying agents must be Advanced Intrusion Systems and Fire Alarm Installation Methods certified and pass a background check before applying for a Class F (single owner, five employee) or Class E (more than one owner, more than five employees, incorporated) alarm company license. Alarm agents and technicians must complete Certified Alarm Technician Level I and pass a background check before applying. California requires all alarm company employees to pass a background check. In addition, a qualifying agent must have 2 years paid experience installing burglar alarms, and must pass an exam covering California law, the Alarm Company Act, alarm agent requirements, weapons laws, business management, and Power to Arrest. In order to install CCTV or electronic access control, a qualifying agent must pass an exam and apply for a contractor license. The C-7 Low Voltage Contractor license covers CCTV, and the C-28 Lock and Security Equipment Contractor license covers electronic access control. Connecticut requires a qualifying agent of a company be licensed to install burglar alarms or CCTV. In order to sell services to the public, a qualifying agent must take the L-5 exam. Before taking the L-5 exam, the candidate must have taken the L-5 exam and then have two years documented experience. In order to take the L-6 exam, a candidate must have four years documented experience as an apprentice. Delaware requires any person installing burglar alarms be licensed. Companies must register and put up a surety bond, and all principles must pass a background check. Employees of registered alarm companies must register and pass a background check as well. Florida requires a qualifying agent of a company be licensed to install burglar alarms. A person with 6 years of trade experience may take the Certified Alarm Systems Contractor II test as well as a test on Florida state law and safety. In addition to passing the exam, the qualifying agent must submit a credit report showing a positive net worth and a business financial statement showing a net worth of at least $10,000. A master electrician licensed by the District of Columbia may apply for a separate alarm installation license as a qualifying agent. Alarm installers must provide a criminal history from their jurisidiction of residence and an affidavit attesting that they will be employed by a qualifying agent. Georgia requires a qualifying agent of a company be licensed to install burglar alarms. A person with 1 year experience installing alarms may take the Low Voltage- Alarm examination, as well as an exam on business law. They can then apply for an LV-A license, which includes a background check and three character references. Hawaii requires a qualifying agent of a company be licensed to install burglar alarms, which is combined with their fire alarm license. Qualifying agents may take the C-15a exam, which allows them to apply for a contractor's license. Idaho requires a qualifying agent of a company be licensed to install burglar alarms, which is combined with their fire alarm license. Qualifying agents must pass an examination and be (or employ) a journeyman electrician who has held a state-issued journeyman or master license for a minimum of two (2) years, and holds a current Idaho license. Companies must also show proof of insurance. Trainees must also register with the state. Illinois requires a qualifying agent of a company be licensed to install burglar alarms. Qualifying agents must have three years of experience supervising the installation of alarms. Completing a 'national certification program' will count as one year experience, and a four year degree or higher in electrical engineering or a related field will count as two years experience. Qualifying agents must then take an examination and pass a background check. Iowa requires any person installing alarms, including trainees, obtain a license. Alarm installer trainees/assistants must pass a background check. Alarm installers must pass NTS Level I or AEIT. Qualifying agents must pass NTS Level II. Proof of insurance is also required. Louisiana requires a license to install burglar alarms, CCTV, or electronic access control. There are several license types. Type A allows the holder to install burglar alarms, CCTV, and electronic access control. Subtypes include Type B: Technician (qualifying agent, requires NTS Level II and FAIM certifications), Type C: Installer (works under supervision of Type B, requires NTS Level I), Type D: Apprentice (no certifications required) and Type D-T: Temporary Apprentice (expires after 30 days), and Type E: Salespeople (requires Understanding Electronic Security Systems). Type A-2 allows the holder to install locks, CCTV, and electronic access control. Subtypes include Type I: Technician (may install anywhere, requires completion of approved course) and Type K: Apprentice (works under supervision of Type I). Type A-4 allows the holder to install CCTV only. Requires completion of NTS Video Systems Technology course, Video Security Systems Essentials course, or other approved course. More information is available on the Fire Marshal's website. Maine requires any person installing burglar alarms to have a Limited Low-Energy license. Applicants wishing to take the limited low-energy exam must first have 270 hours of electrical education as approved by the Electricians' Examining Board or from an accredited institution and 4,000 hours of experience. Maryland requires any person installing burglar alarms or electronic access control to pass a background check and show proof of insurance. Individuals installing locks, including electronic access control, but not burglar alarms, may apply for a locksmith license instead. Massachusetts requires that any person installing burglar or fire alarms pass a background check. A person with 300 hours of classroom instruction and 4,000 hours of work experience may take an exam for a Systems Technician (Class D) license. This entitles the license holder to work as an individual, supervising not more than one apprentice. A Systems Technician with one year of experience and 75 hours of classroom instruction may then take the Systems Contractor (Class C) exam. Holding a Systems Contractor license enables a person to work as a qualifying agent, supervising Systems Technicians and apprentices. Michigan requires qualifying agents of companies installing burglar alarms pass a background check, hold a bond, and be employed by an alarm installation company in a supervisory position for four years before applying for an alarm contractor license. Minnesota requires that companies installing burglar alarms hold a Technology Systems Contractor license. In addition, qualifying agents must also hold a Power Limited Technician license. Mississippi requires any person installing burglar alarms, CCTV, or access control, obtain a license. Class A licenses must be obtained by alarm companies. Every operating location within Mississippi must apply for a separate Class A license. In order to qualify for a Class A license, the business must provide proof of insurance and prove that it employs at least one individual with a Class B license. All business principles must pass background checks. Class B licenses are for Systems Technicians. 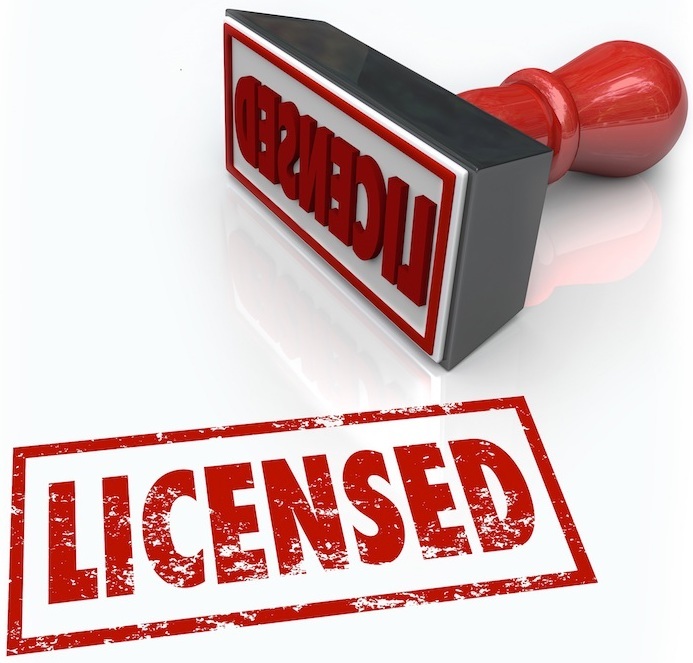 Every Class A license holder must employ at least one person with a Class B license. Applicants must pass the Level 2 A&B Burglar Alarm training course and pass a background check. Class C licenses are for Systems Installers. Applicants must pass the Level 1 Burglar Alarm training course and pass a background check. Class D licenses are for salespeople. Applicants must pass the Understanding Electronic Security Systems course or have two years of experience in alarm sales and design and pass a background check. Class H are for apprentices. Applicants must pass a background check. They must be supervised by Class B or Class C license holders while at work. Montana requires any person installing alarms to be licensed. Applicants must submit to a background check. Companies must apply separately and show proof of insurance. While many cities and counties in Nevada require licenses to install burglar alarms and other security equipment, the state of Nevada only requires a Low Voltage Contractor (C-2d) license to install CCTV equipment. Applicants must show 4 years of experience, put up a bond, and submit current financial statements. Applicants must then take an exam in business law as well as a technical exam. New Jersey requires a license to install burglar alarms, CCTV, or electronic access control. A qualifying agent must have 4 years experience in installing alarms in a non supervisory role and 80 hours of technical courses, including 10 hours of instruction in local codes. After passing an exam in business and law as well as a technical exam and submit to a background check, they may then apply for an Alarm License. Alarm businesses in New Jersey must maintain and answer a 24 hour emergency service phone number, and maintain both insurance and a surety bond. Unsupervised employees are employees that install burglar alarms, CCTV, or electronic access control not under the direct supervision or control of qualifying agents. They must have 3 years of experience installing alarms and 10 hours of instruction in local codes. After passing a technical exam, they must pass a background check. New Mexico requires a license to install burglar or fire alarms. A person with two years experience may take the ES-3 Low Voltage Special Systems license, which includes a business and law exam as well as a technical exam. They may then apply for a license, which includes a background check and a surety bond. New York requires a license to install burglar alarms, CCTV, or electronic access control. A person with 81 hours of classroom education can apply to take the test. After passing the test, they may apply for a license and submit to a background check. North Carolina requires a a qualifying agent of a company installing burglar alarms or CCTV be licensed. The applicant must have either two years experience or complete the Certified Alarm Technician Level I course. This course must be taken under the auspices of the North Carolina Electronic Security Association. Level I courses taken in other states are not acceptable. Applicants must submit to a background check and supply personal references along with their application. Applicants must either posses a North Carolina Special Restricted Fire Alarm/Low Voltage license or work under a qualifying agent who does. Applicants for the SP-FA/LV license must have three years of experience and pass an exam. Oklahoma requires any person installing or selling burglar alarms, CCTV, or electronic access control be licensed. A person applying for a manager, or qualifying agent, license must have 4 years experience, including 2 years as a licensed technician. They may supervise technicians and trainees. Managers must pass a technical exam and background check. Every alarm company must employ at least one Manager. A person applying for a Technician license must pass a technical exam and background check. A salesperson must pass an exam and background check, and must work under the supervision of a manager. Oklahoma publishes study guides for all their low voltage exams. Oregon requires a license to install burglar alarms. A person who has 3 years experience as an apprentice or the out-of-state equivalent can apply to take the Limited Energy Technician- Class A exam, and then apply for an LEA license. Rhode Island requires any person installing or selling burglar alarms to be licensed. Applicants must pass a background check and provide personal references. Alarm companies must hold a bond. Alarm companies in Rhode Island must provide service 24 hours a day, 7 days a week, and have the ability to respond to emergency calls for service within 2 hours of a request being made. South Carolina requires any company installing burglar alarms be licensed. Qualifying agents who are NTS Level I or Level II certified may take an exam on South Carolina's Alarm Code of Laws as well as a separate technical exam. All candidates must then submit to a background check, show proof of insurance and bonding. All alarm company principles must pass a background check as well. Tennessee requires any person who installs Burglar alarms or CCTV to be licensed. Burglar alarm and CCTV are considered separate classifications. Applicants must specify if they are applying for one or both classifications. Alarm companies must apply for an Alarm Systems Contractor Company license. Companies must supply tax and insurance information, and principles must pass a background check. Qualifying agents must apply for an Alarm Qualifying Agent license. Qualifying agents must have a 4 year degree in electrical engineering or a related field and two years experience in the alarm industry, a 2 year degree in engineering technology and 4 years experience in the alarm industry, or hold a current national certification in the classification requested (either burglar alarms or CCTV) as well have 5 years experience installing burglar alarms. Alarm company employees with access to records, diagrams, plans or other sensitive information pertaining to monitored, installed or proposed alarm systems must register. They must submit to a background check and pass Certified Alarm Technician Level I.
Texas requires any company that installs burglar alarms, CCTV, or electronic access control be licensed, and that all individual installers be registered. Companies must register all principles. Qualifying agents must pass exams a technical exam as well as an exam on local codes. Installers must pass Certified Alarm Technician Level I in order to be licensed. Utah requires that any person that installs burglar alarms be licensed. Alarm companies must show proof of insurance and all principles must pass background checks. Qualifying agents must have 3 years experience installing alarms, including 1 year in a supervisory role. Applicants must then pass both the Burglar Alarm Company Qualifier Examination as well as the Utah Burglar Alarm Law and Rule Examination. In addition, all alarm installers, salespeople, or others who have access to alarm information must have an Alarm Company Agent license, which requires submitting a to a background check and Certified Alarm Technician Level I.
Vermont requires any person installing electronic access control to obtain a G7-k Electrical Locksmith license. Virginia requires that any person installing burglar alarms, CCTV, or electronic access control be licensed. Electronic Security Technicians must complete 14 hours of state approved training and Electronic Security Technician's Assistants must complete a 4 hours in order to install burglar alarms or CCTV. Locksmiths must complete 18 hours of state approved training in order to install electronic access control. Electronic security sales representatives must complete 8 hours of state approved training in order to sell electronic security equipment to end users. All must submit to background checks. Washington requires that any company installing burglar alarms be licensed. Qualifying agents must have 4,00 years work experience and 48 hours of in-state classroom training. They may then apply to take an exam to qualify as a Limited Energy System specialty electrician (06). West Virginia requires that any company installing burglar alarms be licensed. Qualifying agents with 4,000 hours or 2 years of hands-on work experience in fire and burglar alarms may apply to take the Specialty Electrician exam. Wyoming requires that any company installing burglar alarms be licensed. Qualifying agents with 3,000 hours of experience may take the Low Voltage- Alarm (LV-A) Technician exam. Companies must register as low voltage contractors. Apprentices must register as well. Some states have no license requirements, but jurisdictions within those states do. For example, the state of Kentucky does not require a license to install burglar alarms, but the city of Louisville does. Installers should be sure to check license requirements in municipalities they perform work in. Comments (21) : PRO Members only. Login. or Join.